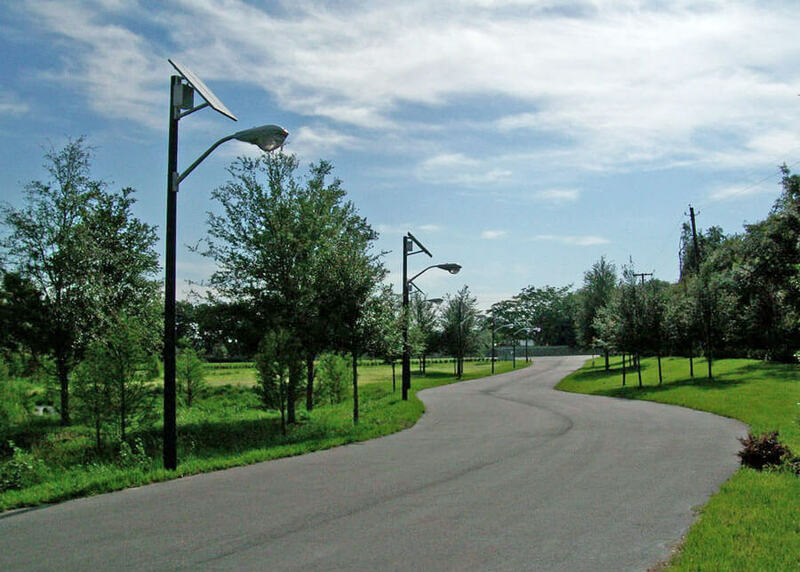 Solar street lights are becoming increasingly popular as a green alternative because they are a better value for their cost, have lower maintenance, and easier installation. But have you ever wondered how these technological advancements function? What powers it and how does it turn on at night? I decided to look into this and examine the circuits behind the lighting of a street lamp. If you look at this picture, you can see the solar panel on top of the light that charges a battery inside the circuit during the day when the sun is shining on the lamp. Then when the sun goes down, the solar panel acts as a photocell and turns the light fixture on. Photocells work by turning light into a form of energy. A better way to describe them is that they are basically a resistor that changes its resistance depending on how much light is being shown on it. As light level increases, resistance goes down and allows the current to increase in a circuit. In reality, you can dive much further into how photocells and CdS cells work, but this basic understanding is simple enough for me for now. Below I have included a picture of a simple photocell. I have also included a picture that describes how a typical circuit in a street light might work to store the energy it converts from sunlight to provide light when the sun goes down at night. For more information on how this circuit works you can visit this website: https://science.howstuffworks.com/environmental/energy/question363.htm This is a very cool concept that I hope to learn more about in the future because I would like to become an electrical or possibly environmental engineer.